I am guilty. Some days I am very guilty. 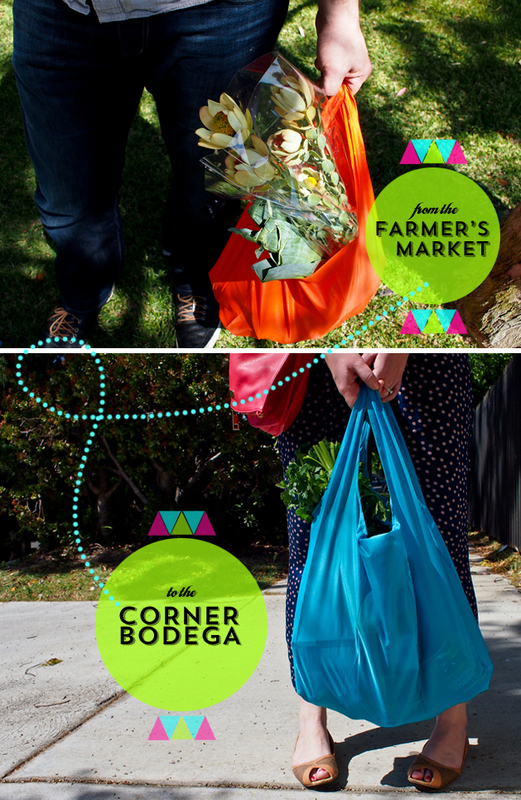 I’m talking about the days when I forgot my reusable shopping bags in the car or in the kitchen drawer. The days I am then forced to pick between paper or plastic and then stuff said waste under my kitchen sink, reusing my mistakes as a trash can liner and then kicking myself to be more mindful on future shopping trips. I’m sorry Miss. Earth, I’m really trying here. I’ve used a lot of different kinds of shopping bags over the years. Canvas totes are cute, but they are bulky and take up too much space. With other kinds reusable bags, I’ve lost the pouch that makes tucking the bag away a little more space-friendly…thus making it not space-friendly at all. I’m not making excuses here (well maybe a little) but seriously!!! Neither of these options are making my chances of remembering a bag at all any easier. (1) The tuck-away pouch is connected to the actual bag – impossible to lose & compact enough to store in the smallest of purses (see up top). Side note: folding the bag after use was a breeze, especially for someone like me who admittedly points out my fitted sheet failure in my linen closet. (2) Despite it’s petite folded state – this bag is massive when opened! I mean, I packed in an entire over flowing basket from Whole foods without making a spacial dent in the thing…it’s strong to boot. I snuck in some much needed exercise / bicep curls across the parking lot. (3) Hello Dr. Feel Good: 10% of all sales go to supporting environmental charities (such as Billion Baby Turtles). Now that’s something we can get behind and make an excuse to purchase a few more bags in the name of keeping Lady Earth all purdy. What’s your BYOB stich like these days? 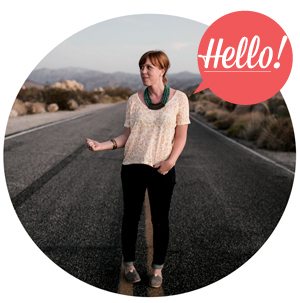 Check out the line of Koteli products over here and high five your green zero-waste self! 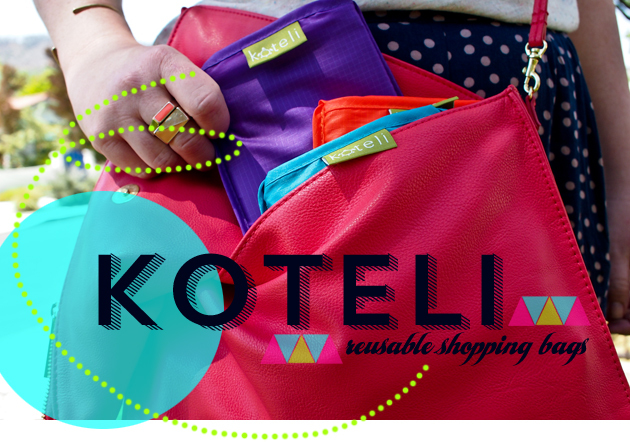 *Koteli was kind enough to supply bags for this review. Opinions are most definitely the real deal & my own.